Looking for a way to add visual warmth to a room? 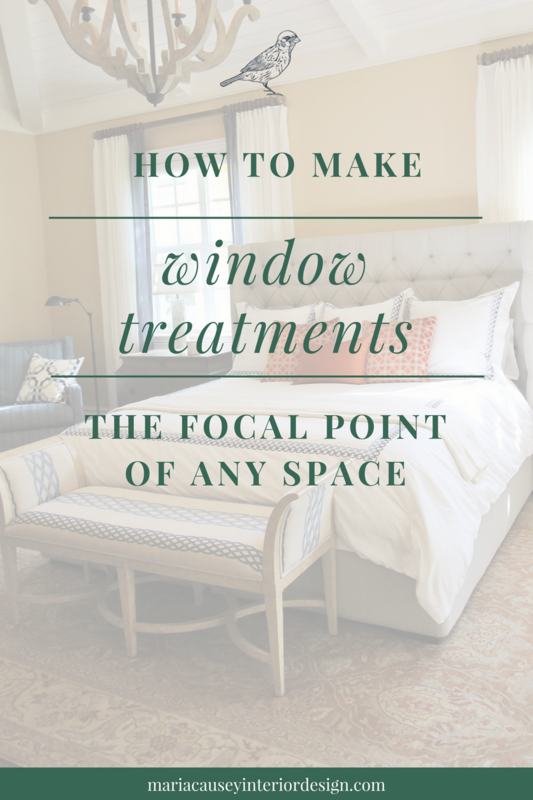 In my experience, adding the right window treatments can really impact the mood of a room. Colorful window treatments add visual interest, while patterned curtains can make a big splash. For a bold statement, I often use wallpaper and matching curtains, and decorative hardware and embellishments that complement the look. Organic window treatments can include natural woven shades in bamboo or matchstick. They let in diffused light, so you can see what's going on outside, while still maintaining some privacy. Color window treatments in blue are popular, with a variety of ocean hues in teal, aquamarine and soft green. Soft lavender and dusty hues round out the soothing part of this palette. Persimmon, orange and emerald are popular jewel tones, while gray continues to dominate. Luxury fabrics, including silks, velvets, damasks, belgian linen, leather, and suede are popular. While the overall design trend leans toward simplicity, this trend will remain popular with those who desire embellishment and luxury. Decorative hardware had been dominated by metallics and sparkle for quite a while, but now is returning to wood and natural textures. Bamboo is also popular for its sustainable, environmentally-friendly quality. A combination of textures, such as sleek metal and rough linen, add interest while embellishments such as embroidered trim or rivets provide an unexpected twist. At Maria Causey Interior Design, we always stay well attuned to the newest trends in window treatments for your home. Since your home should truly reflect who you are and create the mood you desire, we want to help you to make window treatment choices that will last. For more information or to receive a proposal for your next interior design project, please contact Maria Causey Interior Design today.